Welcome • Add Your Theme! • drj/drjekyll - The Missing Theme Package Manager (Command Line Tool) • Questions? Comments? 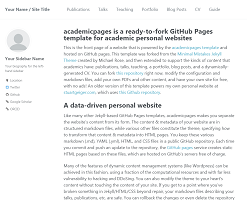 News Update: Awesome Jekyll - Looking for news about Jekyll, GitHub Pages, 'n' friends (e.g. new themes, new plugins, new articles, tips 'n' tricks, new showcases, new conferences 'n' meetups, and more)? Follow along @planetjekyll or @drjekyllthemes. Free. No database required. Make a 250 x 200 thumbnail and drop it in the thumbnails folder. Note: Do NOT forget to list its filename in the themes.yml entry. Check everything is ok, then open up a pull request. Built with Jekyll on 2018-11-12 15:01:24 +0000 in 2.371 seconds. Hosted on GitHub Pages. </> Source on GitHub. (0) Dedicated to the public domain.